This is a new release for Spring 2015. 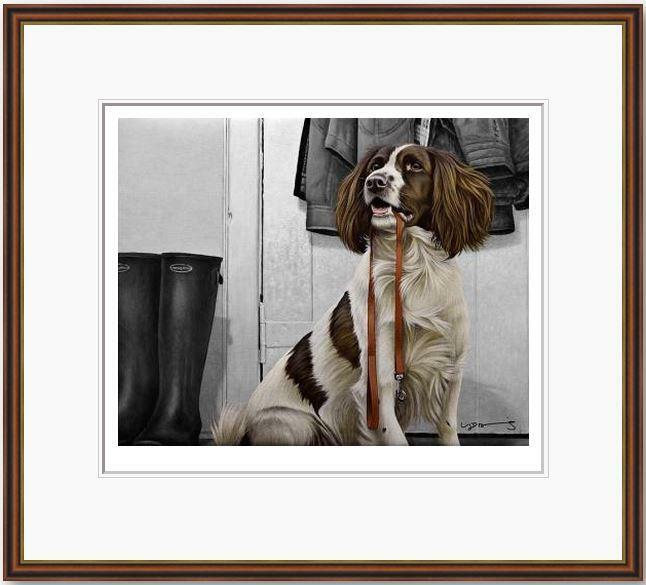 A welcome return to Nigel's more narrative limited edition artworks and here we can project onto the image a story - perhaps of your own springer spaniel? 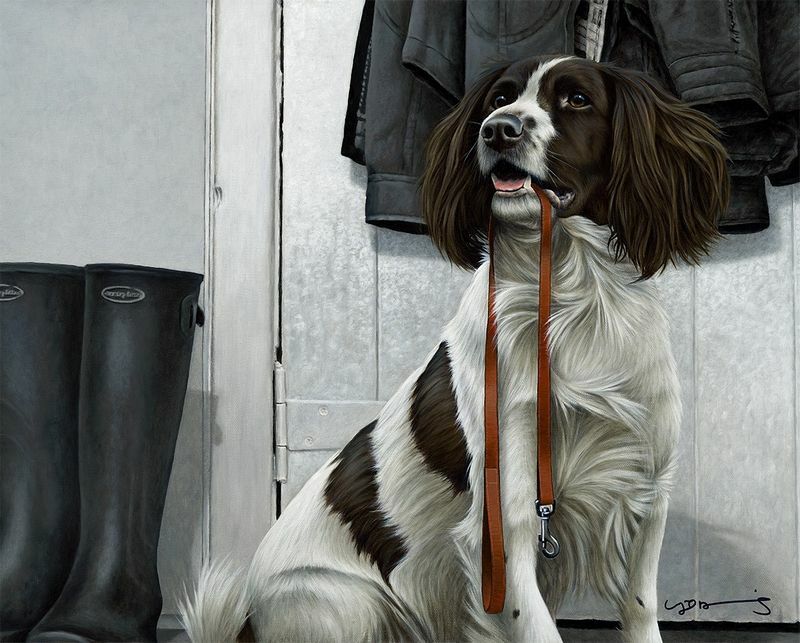 - with the jackets and the wellies and the dog waiting eagerly for a walk, even grabbing the lead in its mouth! This picture and the accompany other versions of the print are dedicated to Nigel's friend Mary Cook, who sadly passed away in Summer 2014 and whose house the image is set. A liver & white english springer spaniel. As soon as I saw this image I was reminded of Nigel Hemming's best selling piece from the 1990s: 'Anticipation' and it could almost be the same dog and perhaps the same lead! Fantastic that Nigel has chosen to revisit such collector favourites from the 1990s and given them a different artistic touch. This sure is to sell well with owners of Gun Dogs. Your chance to own the original painting that was actually used to make the limited edition print 'Ever Ready' and at an extremely competitive price for such an emotive original. Who could resist this liver & white springer spaniel, so patiently waiting for his master to take him for a walk. The question is will they need the welly boots today or not? Item is framed and the finished size is 730mm x 630 mm and its of course an oil painting, Nigel's speciality!